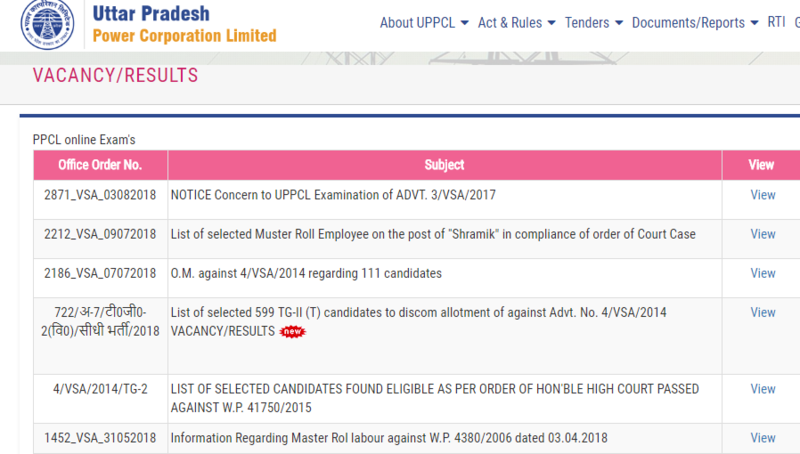 Uttar Pradesh Power Corporation Limited has announced the exam dates for the examination of stenographer, office assistant and Junior Engineer Electrical. Along with this, the board has also notified that the admit cards for the examination will be made available on 12th August. Candidates who have registered themselves successfully will be able to download their admit cards from the official website www.uppcl.org. For all the three posts, examinations would be organised on two different days (same day for two posts). Let’s check out the dates. Junior Engineer Electrical 27th August. As the online examination dates are available and thus, contenders must download their UPPCL admit card 2018 on time. The admit card will consist of numerous necessary details that would play a crucial role in the examination. One is roll number. Candidates need to fill their roll number while attending the examination and they can get it through the admit card only. Moreover, where a candidate needs to report for the examination will also be given on the candidate’s admit card only. The computer based test will be objective type only. For stenographer and Office assistant posts, the examination would be divided into two sections. The first section will contain 50 questions from computer knowledge of one mark each. The section 2 of stenographer consists 200 questions while office assistant consists of 180 questions from the same topics. The topics from which questions are to be positioned are general studies, Logical Knowledge, General Hindi and General English. If a candidate attempts a question incorrectly, then 1/4th of the mark allotted to that question would be deducted. In the first part, candidates have to attain at least 20 marks. Otherwise, the second part of the exam will not be evaluated. 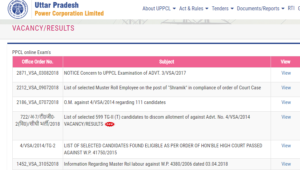 The corporation will provide the UPPCL admit card 2018 through online mode only. The administration will not provide the same through any other mode. To download the same, contenders first need to prove themselves as registered candidates by logging themselves in using registration ID and password. Candidates must bring their admit card to the exam centre. Stay Tuned With ALL INDIA ROUNDUP For More Updates.